If you’re going to be giving away or selling your Windows 10 computer, you’ll be glad to know that you don’t need to download any 3-party software to wipe your personal information from your computer before you give it away or sell it. Now we’re not saying that this would pass NSA, CIA, or FBI forensics scrutiny, but for most of us ordinary souls this method will work just fine. 2. In Settings > click on Update & Security. a. Keep my files – Removes apps and settings, but keeps your personal files. b. Remove everything – Removes all of your personal files, apps and settings. 7. 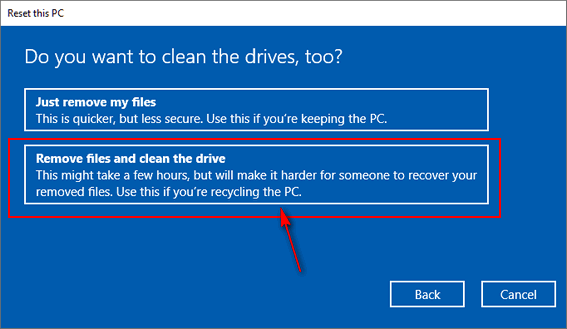 Windows will ask if you want “Just remove my files ” or “Remove files and clean the drive”. 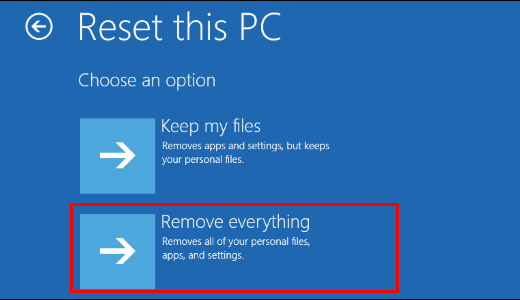 Since you’re not keeping the computer, choose “Remove files and clean the drive” Selecting this wipes the C:\ drive of everything and then reinstalls Windows 10. After you do this, when you give the computer away, or sell it, it’s like a computer that you’ve never used. Once you click on “Remove files and clean the drive” Windows will warn you and ask you to confirm you want to proceed with this operation. After you confirm that you want to do this, Windows will start the process of wiping the drive and reinstalling Windows 10. This could take a few hours – but you don’t have hang around while this is being done; it’s automatic. When Windows has wiped the drive and reinstalled Windows 10 it will be like a new computer. Whoever you give it or sell it to, will set up time zone, language, user accounts etc. – Just like they’d do with a new computer. So now you know what to do if you’re planning on selling or giving away a Windows 10 computer and how easy it is to do it. Will this still work if I upgraded from Windows 7 to Windows 10? Will it still reinstall Windows 10? Yes. 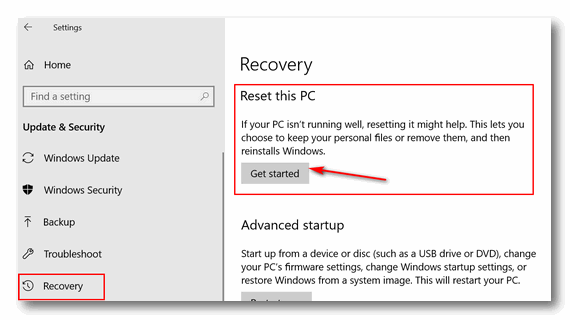 The only way you’d go back to Windows 7 is if you did a factory reset. This is not a factory reset.